RUPES Big Foot Polishers! Now at Autogeek! That’s right folks! Rupes polishers and accessories are now available at your favorite online car care store – Autogeek.net! We’ve brought in every product Rupes offers the U.S. market including the vaunted LHR 15ES and LHR 21ES “Big Foot” Random Orbital Polishers along with the pneumatic polishers, foam pads (all sizes!) and Rupes’ line of polishing compounds. We even have the Rupes Big Foot Polisher Bag and matching apron! The Rupes Big Foot Random Orbital Polishing System consists of a line of electric and pneumatic car polishers along with foam pads and polishing compounds tailored specifically to the enthusiast and professional who demand the best finish possible. Rupes spent years fine-tuning this system by gathering information from users around the world, making sure each foam pad and polishing compound performed flawlessly on all paint systems when used with the Big Foot Random Orbital Polishers. The Rupes Big Foot Random Orbital Polishing System guarantees faster paint correction than any other system available without sacrificing finish quality. At the heart of the Rupes Big Foot Random Orbital Polishing System lies the LHR 15ES and LHR 21ES Big Foot car polishers. These polishers get their name from their massive 15 and 21 millimeter throws. The throw of the machine indicates the size of the orbit the pad makes. Consider this: a conventional random orbital polisher has a throw between 4 and 8 millimeters. The advantage of a larger throw is that more surface area is being covered as you polish. This means you’ll be able to remove swirls, scratches, water spots and other paint defects in considerably less time. The Rupes LHR 15ES and LHR 21ES Big Foot Random Orbital Polishers are the smoothest running random orbital polishers available. Like a fine Italian sports car, the Rupes LHR 15ES and LHR 21ES feature remarkable engineering and exquisite craftsmanship; the ergonomics along with fit and finish on the LHR 15ES and LHR 21ES Big Foot Random Orbital Polisher are superb. Experience the Rupes Big Foot Random Orbital Polishing System for yourself and experience paint polishing like you never have with any other system. Turn your drill into a DA polisher! 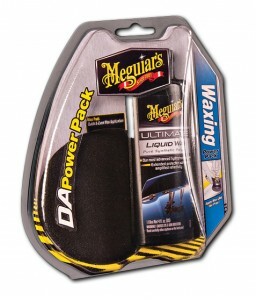 The Meguiars DA Power System is another innovative product from Meguiars that will change the way you detail your car. The Meguiars DA Power System attaches to any standard household drill that operates between 1,500 – 2,500 RPM and turns it into a paint-polishing tool with the orbit of a dual action polisher. Precision engineered gears provide rugged durability. Thanks to a vast selection of Meguiars 4 Inch DA Power Pack Pads that are compatible with the DA Power System, you can equip yourself to tackle any job. The Meguiars DA Power System is the ideal tool to use for polishing wheels because its compact design allows you to polish areas that are unreachable with a regular DA polisher. The Meguiars DA Power System even works to polish and restore headlights to perfect clarity when equipped with the appropriate pad. Say goodbye to hand waxing and hello to the Meguiars DA Power System! New at Autogeek, Tuf Shine Appearance Products! Tuf Shine Appearance Products has been manufacturing cutting-edge surface care products for nearly a decade. Tuf shine Appearance Products has been gaining traction as an innovator in the industry with breakthrough products like Tire Clearcoat and Black Restore – two products that make long-term tire and trim care effortless. Tuf Shine Appearance Care Products are environmentally safe and effortless in their application. If there is ever going to be one brand that is recognized world-wide for producing the most complete line of innovative, state-of-the-art tire care products, Tuf Shine is that brand. Tuf Shine Tire Cleaner and Tuf Shine Tire Clearcoat turned the car care world upside down by providing an unmatched level of cleaning (Tire Cleaner) and protection (Tire Clearcoat) abilities. Tuf Shine took something as simple as applying a tire dressing – a task that is usually performed on a regular basis – and made it permanent with Tire Clearcoat. Get this and check out all of the new detailing products at Autogeek! 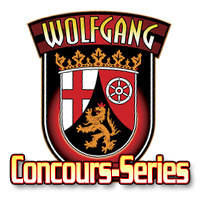 New Wolfgang Products at Autogeek!! Wolfgang Concours-Series Car Care products are known around the world for providing the utmost in surface care protection for all your interior and exterior car care needs. The brand has continually grown and evolved since its inception nearly a decade ago. What started out as a few key products has grown into a world-renowned complete line that utilizes the most advanced surface care chemistry available anywhere, at any price point. I’m proud to introduce six new innovative products that will alter your perception of what surface care products are capable of. From the gloss-intensive Deep Gloss Liquid Seal that blankets your paint in super slick German Super Polymers to the intense cleaning action of the advanced Über Wheel Cleaner, I challenge you to try these new products and compare them against the best that each respective category has to offer. These new products include Wolfgang Uber Wheel Cleaner, Wolfgang Deep Gloss Liquid Seal, Wolfgang Cockpit Trim Sealant, Wolfgang Pad Werks Pad Cleaner & Extender, Wolfgang Pad Werks Polishing Pad Cleaner, Wolfgang Pad Werks Polishing Pad Conditioner, along with all new kits. BLACKFIRE 5 Gallon PRO Jugs – Now Available!